ARISE Together in Christ by RENEW International officially launched in the Diocese of Altoona-Johnstown in October 2018. Season two is scheduled for Lent 2019. Please join us in this diocesan-wide initiative for spiritual and pastoral renewal. Consider being a part of the small community faith sharing groups at your parish. 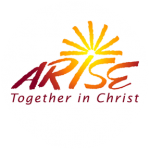 Click on the links below to learn more about the benefits of ARISE Together in Christ.